I have not done a review in a long time and I’ve been wanting to do a review on this particular pair of shoes for a while. Tieks Ballet Flats has been the talk of the shoe world. Oprah talked about it on her show, several bloggers have talked about it, and major bloggers wear them on their blog. I was curious so I bought my first pair about two years ago after reading about them and studying their website. I wanted to see what the hype was all about and if it really lived up to its reputation as a very comfortable and portable pair of shoes. While shopping for my first pair, I thought more about color, material, and pattern. I wanted a color that would go well with the rest of my wardrobe but I really did not want to pick up the basic black. When you first login to the Tieks website you find several categories: Featured, Prints, Patents, Classics, and The Vegan Collection. Figuring out which category to pick from took me a while. I eventually choose a pair from the Classic Collection. I debated over a neutral pair versus a colored flat. I eventually choose the Cardinal Red. Packaging: When it first arrived it came in a Tiek Blue Box wrapped with an elasticize band and a flower matching the shoe in the box. The packaging was pretty and instantly put a smile on my face. I felt like I was opening a present for my birthday. After opening the box the shoe comes folded with drawstring bag for packing and storing (not pictured). In all honesty, I’ve only used this bag maybe twice when I needed to pack them for travel. The box also contains a care guide, a card for sharing Tieks on Instagram, a folded Tieks tote, and a personal note to you, the buyer. Fit: TTS. I’m a size 4.5 and the size 5 fit me well without slipping in the heel area despite my narrow heel. If you are inbetween sizes, the recommendation is to size up. If after ordering Tieks you are not happy with the sizing, there is an easy return policy and customer service is helpful in helping you find the right size for you. Quality: The pair of shoes is of high quality leather. It has a full grain leather insole, leather suede lining and the upper is made of Italian leather. The leather upper is soft and supple and does not cut into your skin or create blistering. The leather insole eventually darkens over time because of the oils in your skin. If this is not something you like you can prevent the discoloration with some insoles or ballet flat socks. I did not mind it. It shows that I wear them often. I usually wiped them down with baby wipes and a cotton cloth. The outsole of the shoe is made of leather but attached to it is a rubber split sole that minimally scratches over time and wear. There is cushioning throughout the insole of the shoe which provided added comfort when worn and a cushion heel for days when you are on your feet and walking. I am constantly on my feet at work. The inside of the shoe does not have lining so the leather is raw except for the throat of the shoe where there is fabric lining. This is to lessen the wear of the shoe where your toes meet the leather. While this fabric is is unbroken the leather at the top of the throat will remain in good condition. Once this fabric breaks the leather will start to wear. Comfort: After two years of owning my very first pair of shoes from Tieks, I would say it is extremely comfortable. It feel like your walking on pillows. I have never gotten any pain or blistering from wearing them. It has my been time and again my go to pair of flats. In an average week I wear then about 3 to 4 times. Price: $175.00-$295 is expensive but if you calculate price per wear and comfort I believe it is worth every penny. Tieks never go on sale and it is truly an investment shoe. Yes! It is the one pair of flats I will purchase again and again for the sheer fact that it lives up to the quality of the shoe and comfort and I’m saying that after two years of wearing them three to four times a week and traveling. I highly recommend it to anyone who loves flats and would like a pair that’s worth every penny. Hope you are having an amazing weekend and that you chose Tieks as a gift, now or later. Take care and happy shoe shopping. Great Tieks review. Tieks have been on my watch list for several years but sadly aren’t readily available in Canada. 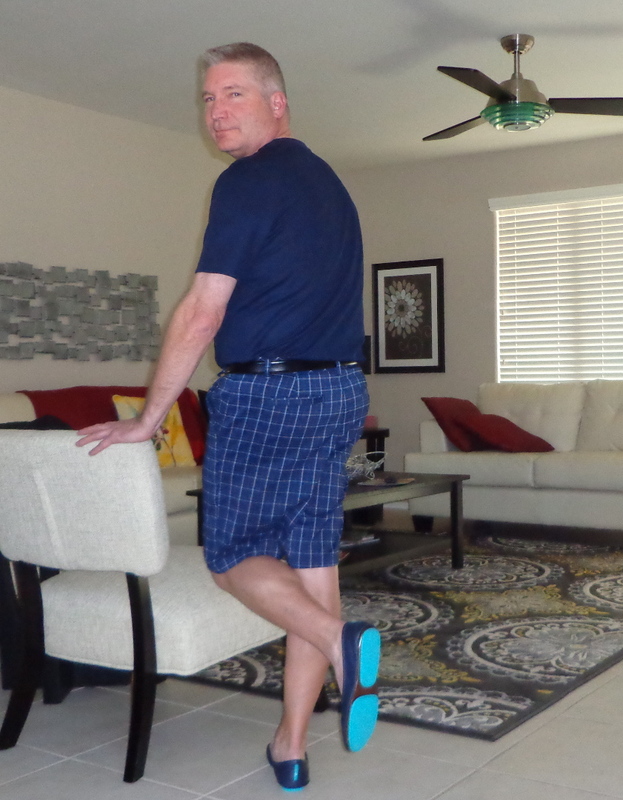 During a recent trip to the US I took advantage of Tieks free shipping and got a pair. Love them! I know they are great. I can’t wait to get another pair. Thanks for stopping by. Have an amazing new year! I have a pair of this cute and very comfy flats and I am very happy with them it’s like wearing slippers at the office everyday. sadly here in Canada I had to pay for shipping but they worth the money. Love that red color of you Tieks ! Thanks for the review, it helped me decide to get a pair of my own! The timing of my comment seems funny since you just posted about Rothy flats. What’s also fuuny is all the comments on this Tieks post are males. Tieks has been very popular with women but they are becoming very popular for us guys. I’m still a Tory fan but my Tieks are pretty stylish and comfy too. I’ve been trying out new flats and new styles. I also like Fuschia. I will post another review again soon. Yeah flats are all around great for everyone. I love the fuchsia Tieks. Someday I’ll own a pair. I almost bought a fuchsia pair but ended up getting pop pink instead. My collection of Tieks has also grown. 10 pairs in 9 months. I guess I’ve been bitten by the “Tieks Bug.” Here’s my collection minus my newest pair of lilac Tieks.